Ragi biscuits are very easy to make. These home-made ragi cookies/biscuits is a perfect and healthy snack for kids. 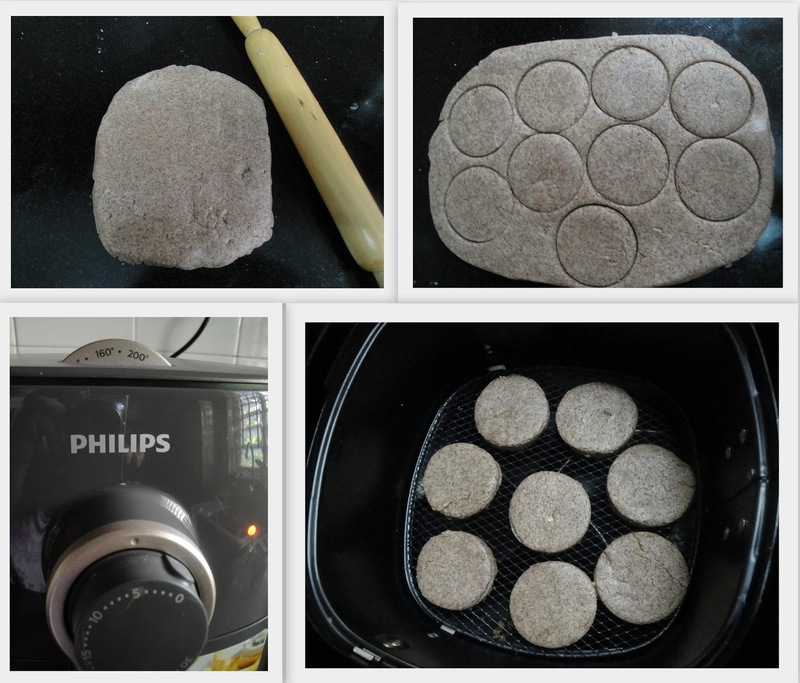 Making ragi biscuits with Philips airfryer was so easy. Click here for Kurkure bhindi in Philips Airfryer. 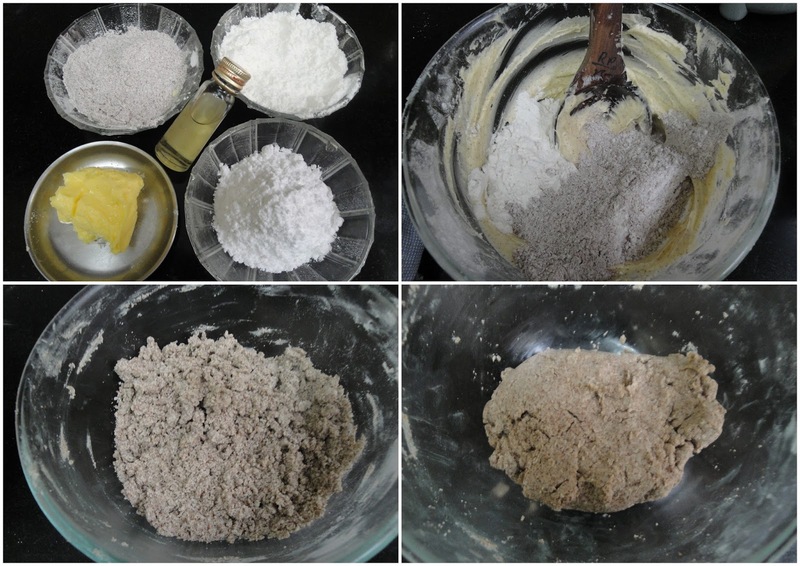 All purpose flour / maida - 75 gms. Ragi flour - 75 gms. Bring butter to room temperature. Sieve the flour. In a mixing bowl, add in the butter and cream well using a wooden ladle. Add icing sugar, cream together until soft and fluffy. Add vennila essence and mix well. Now add maida and ragi flour. Mix well to make crumble dough. Scrape the sides with a spatula and mix. Do not knead too much. Its is enough if the ingredients gets mixed. If necessary, sprinkle a spoon of milk. Dust the surface / board with flour and roll the dough evenly with the help of rolling pin. Simultaneously, keep shaping the edges with your hands. Cut into desired shapes with cookie cutter or any lid. Preheat Philips Airfryer at 180°C for 5 minutes. Arrange the cookies in the basket and air fry at 180°C for 10 minutes. Keep an eye in between. Mine got done in 8 minutes. Remove from the basket and allow it to cool. Store in an airtight container. NOTE: It is not necessary to get browned. The cookies/biscuits will turn crisp when cool. Nice. 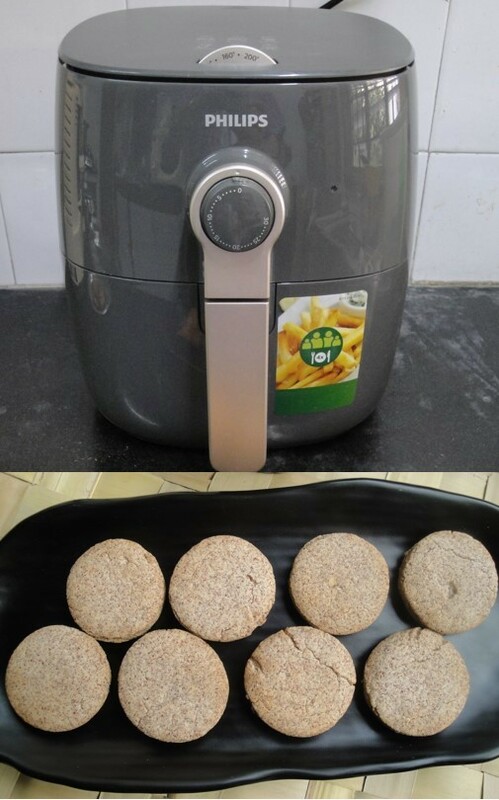 Please post other Airfryer recipes you might have tried. Thanks!